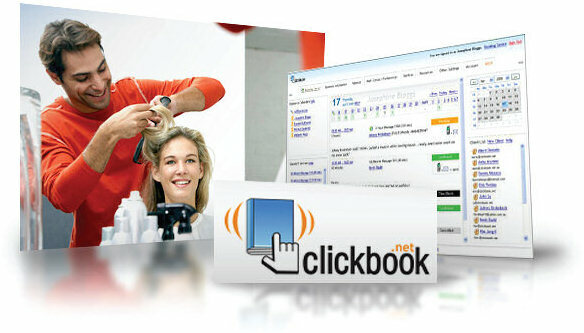 Let your clients book online with ClickBook FREE* appointment scheduler. Eliminate 'no-shows' with mobile text reminders. Save money on receptionists and call-backs to mobiles. Win more customers with 24/7 online booking. Become super organised with daily updates, reminders and notes. Easy to use and totally secure. * ClickBook FREE is for solo businesses with 1 physical address, mobile & online services and 50 max current bookings. Upgrade is required for additional staff and physical locations or more than 50 current bookings. Clickbook is a huge blessing for my business, 2 years ago I moved interstate and I am still able to run my Melbourne based business with 10 therapists...need I say more?! The therapists all feel in control of their time and availability and so do the clients. I simply wouldn't have been able to keep my business of 10 years if Clickbook didn't exist. Not everyone who runs a business is computer savvy. This means that any free scheduling software aimed at businesses needs to be easy to use and efficient. Not just for the client, but also for the service provider. ClickBook free appointment scheduling software downloads instantly into any browser and won't slow down or interfere with your computer's performance. Clients have full access to a simple appointment scheduler and reservation management dashboard which they use to manage their appointments, calendar and bookings. For customers, the free appointment book software could not be simpler. For example, with free online salon scheduling, they simply select which service they would like, who with and when and book it in real-time. This means that you will never be double-booked. Yes, it's as easy as that! The booking is confirmed via text or email, the service provider receives an update informing them of the reservation and the customer gets a reminder nearer the time. As most people now manage their business and make bookings on the go, the free online scheduling software is available via a mobile app. As with most mobile apps, the layout of the scheduling program is more basic. However, it still enables customers to sign in and book appointments, while service providers can access most of their dashboard to manage their account. The appointment schedule software can be synchronised with any device that supports iCal calendar subscription which includes Windows, Macintosh, Linux and most iPhones and iPods for complete flexibility and freedom. ClickBook INCREASES your income by sending reminders to your customers by email and text message.